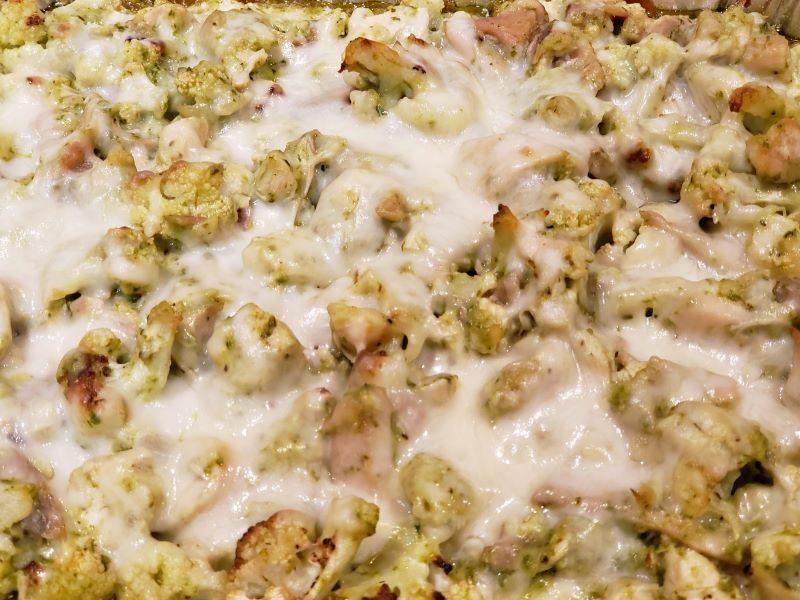 This Low Carb Pesto Chicken Casserole is a great way to add cauliflower to your repertoire of recipes. I must admit that I've never used Basil pesto over the years for anything so this was my maiden use of the product. I have however tasted many samples of ravioli at Costco which were served with pesto and enjoyed them. 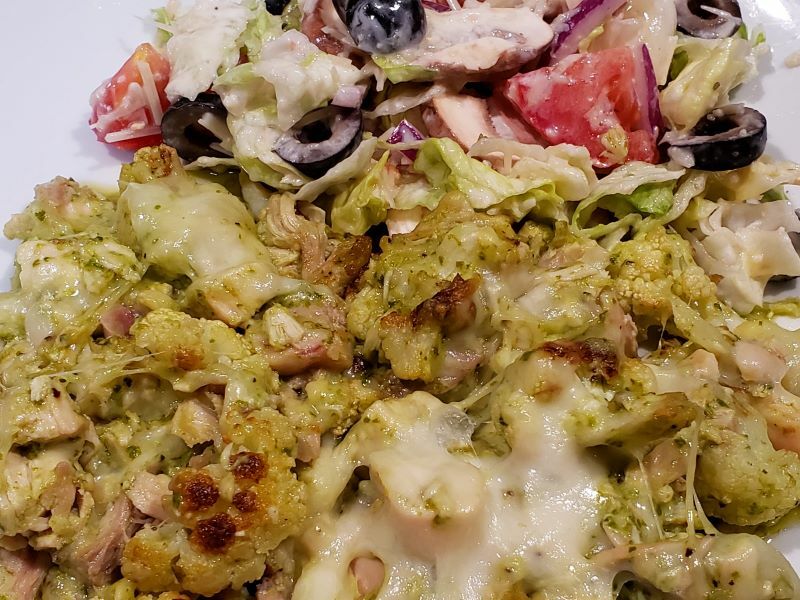 You'll enjoy this easy recipe which uses leftover chicken.